Sigh... not another makeup brush cleaning post. I know, they are everywhere but I figured I would tell you how I clean mine and hopefully remind you that you need to clean yours regularly too if you don't want to be smothering your face in bacteria and nasties every single morning. Seriously, clean makeup and tools are an absolute must! Acne breakouts and eye infections are not pretty and are honestly so easy to avoid if you just invest a tiny bit of time in keeping things hygienic. I don't have a very complicated brush cleaning routine and I only use one thing that you can buy at any supermarket, Priceline, etc. 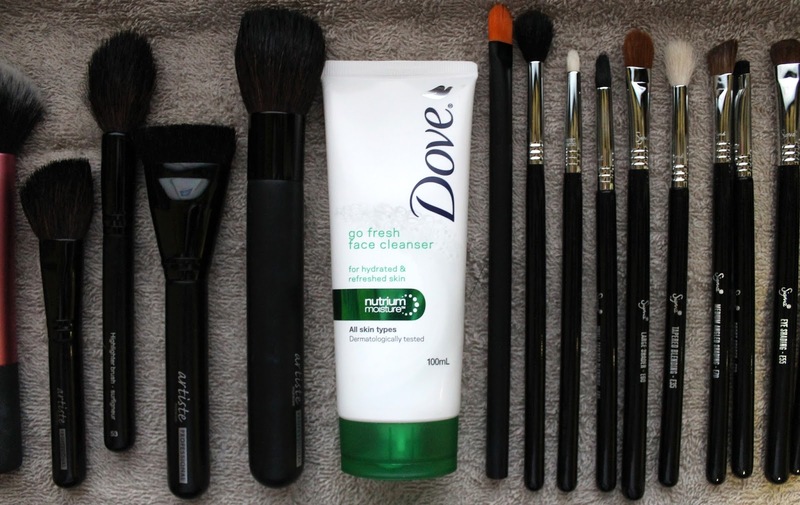 I have used the Dove Go Fresh Face Cleanser ($6.35) to clean my brushes for ages and I think I'm up to my third tube. Basically any foaming cleanser will do but try to steer clear of one with too many chemicals (like acne cleansers) that could dry out your natural bristle brushes. 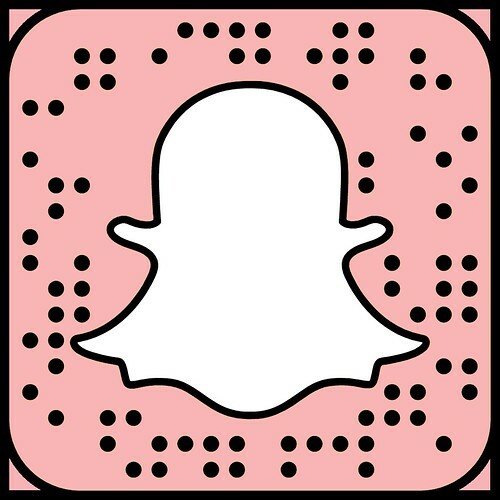 I know some other people use shampoo or detergent but I hate the smell of those and I like the fact that a face cleanser smells nice and like it should be actually on your face, not to mention the whole point of a cleanser is to break down and remove makeup which makes it super effective. I know there are a lot of fancy deep brush cleaning products out there but I have always thought they were an necessary expense because this Dove cleanser cleans them perfectly and makes them smell fresh as a daisy. First I squeeze a small amount of cleanser onto my palm, depending on the size of the brush I am cleaning. I then wet my brush holding the bristles downwards in the tap stream so the water doesn't get up into the glue that holds the brush together. Throughout this whole process, make sure you keep the bristles facing downwards so the water doesn't run up the handle of the brush. I then just swirl the brush into the cleanser on the palm of my hand to foam it up. Basically all you have to do is keep swirling, lathering and rinsing until the brush rinses completely clean and there is no makeup left in the brush. I then gently squeeze the excess water out of the bristles with my fingers and lay it on a towel then repeat the whole process with every single brush. Once the brushes are all clean I use paper towel to gently squeeze all the water I can from the bristles, gently reshape the brush and lay it flat on a fresh towel to dry overnight. I know some people like to dry their brushes upside down (bristles pointing down) and even have little contraptions to hook the brushes into but again, this always seemed unnecessary. Maybe it's just me being cheap but as long as you don't dry brushes bristles up, which will ruin the glue that holds them them together they will be fine. I have cleaned my brushes this way for years and they are still as good as the day I bought them. If you really want to you can create a little roll or fold in the towel you are drying your brushes on so that the handles sit slightly higher than the bristles. I clean my brushes pretty much ever fortnight and they feel amazing when they are nice and clean. It only takes maybe half an hour, depending on how many you have and it is so worth it. If you have left your brush cleaning a little to long or (gasp!) have never cleaned your brushes, please let this be a reminder. It really is important, I promise!